This man and his party are a "threat to national security". This is what David Cameron said on the election of Jeremy Corbyn as the new leader of the Labour Party. Codswallop, I say! This has been a rather curious incident of the marxist cyclist in the night - Mr Corbyn's rise to the highest echelons of British politics. For someone who, just a few weeks ago barely scrambled together the minimum required number of nominations to make it into the pool of candidates for the Labout leadership to suddenly morph into a potential UK prime minister is extremely curious! I guess, that is what the Labour party members wanted, so that is what they've got! This is a sign of the times. Take away the bicycle and give this guy long white hair, horn rimmed glasses, a duffel coat, and you have basically got the Labour Party leader who squared up to a resurgent Margaret Thatcher to lead the Labour Party to spectacular defeat in 1983 - no it won't go Pete Tong for the Labour Party, it'll go Michael Foot! That's why I don't think the Labour Party could be a threat to national security. They would have to get past the Tories first, and the Labour Party in its current form is likely to have an uphill struggle. Already cracks are showing between many established front-benchers and even the deputy leader. That's a shame. If only there were a bit more cohesion and moderation plus better media management things wouldn't necessarily go omnishambolic for the Labour Party. Folks like Ken Livingston and Diane Abbott mellowed their tranchant views when they moved into high office. Having said all that, I must say that I like Jeremy Corbyn and his ideas. I don't think nationalisation of railways is a bad idea, and air strikes on Syria (or elsewhere) is not the automatic answer whenever there is a conflict. 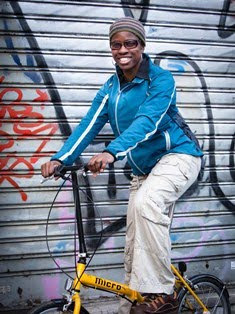 One thing that I always have a soft spot for though, is a politician who rides a bicycle - whether it's Boris Johnson, Nicolas Sarkozy or Andrew Mitchell! 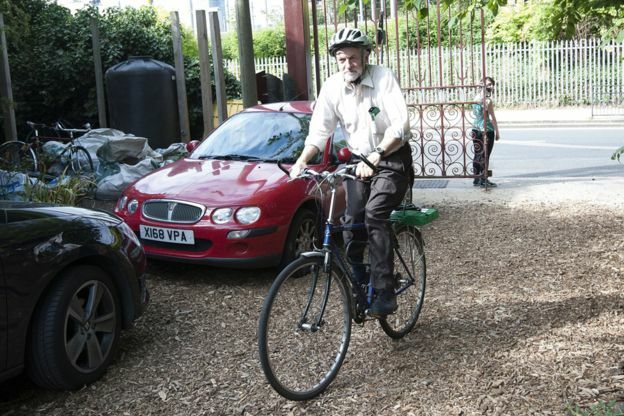 Corbyn is also a member of the All Party Parliamentary Cycling Group - another brownie point! I don't quite share his aversion to cars though (He recently refused to get in a car to do a BBC interview because he doesn't like cars! ), but I am with him on cycling everywhere. Who knows how this will pan out for the Labour Party...whatever happens, I would say that Mr Corbyn's dizzy ride into the upper crust of British politics, however long it lasts, will have certainly made us stop and think. But national security threat? I think not!